Check Out Dr. Murphy's Schedule Here! Have accumulated approximately the following post-graduate continuing education hours: Biomechanics: 460 hours; Orthopedics: 910 hours; X-ray: 430 hours; Neurology: 880 hours; Nutrition 310 hours. Continuous clinical practice 1978 - 2003. Part-time clinical practice 2003 through present. 1982 to present and continuing, part-time undergraduate faculty at Life Chiropractic College West, in Hayward, CA. Current class is Management of Spinal Disorders; Rank, full professor. Have taught approximately 1,450 twelve hour postgraduate continuing education classes. Class topics include: biomechanics of vehicular collisions; biomechanics of spine trauma; biomechanics of pediatric vehicular collisions; soft tissue injury and repair; pain and proprioceptive neurology; the management of spine and spinal related disorders; clinical nutrition. Have taught postgraduate classes for Life Chiropractic College West, Los Angeles Chiropractic College, Life University (Chiropractic), Logan Chiropractic College, Palmer Chiropractic College, Cleveland Chiropractic College of Kansas City, University of Western States, and Northwestern Health Science University. 1989: Chapter V in Spinal Manipulation: "Posture, Tissues, Neurology and Health", published by Chiropractic Biophysics, Inc.
1990-2013: Quarterly Column in the Journal of Clinical Chiropractic. 1996: Contributing author: Motor Vehicle Collision Injuries, Aspen Publication. 1998: Contributing author: Pediatric Chiropractic, Williams & Wilkins. 2005: Contributing author: Motor Vehicle Collision Injuries, 2nd edition, Jones and Bartlett. 2011: Contributing author: Pediatric Chiropractic, 2nd edition, Wolters Kluwer, Lippincott Williams & Wilkins. 1987, 1991 and 1995: Post-graduate Educator of the Year, given by the International Chiropractic Association. 1997: The Carl S. Cleveland, Jr., Educator of the year, given by the International Chiropractic Association of California. In 2001, Dr. Murphy was chosen “Chiropractor of the Year” by the International Chiropractic Association of California. 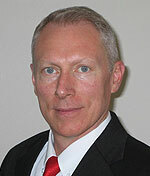 2003-2009, Vice President of the International Chiropractic Association.